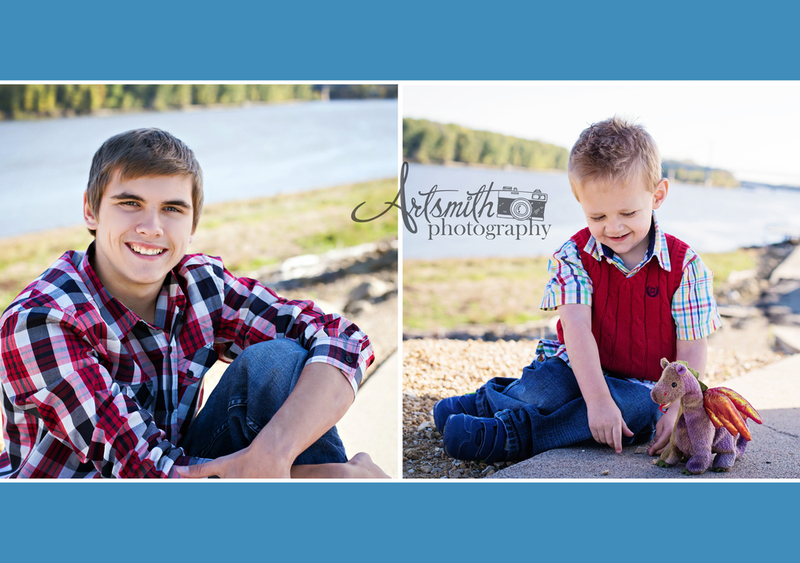 I started working with a new assistant this year and her name also happens to be Amanda, so we thought it was pretty adorable that little Jayce referred to us as The Amandas during their family session! What a fun kid! In fact, we had fun with the whole family! It was a lovely day and we got to check out a few different locations. First we went to Heritage Canyon in Fulton, Illinois, followed by Clinton's riverfront and one of the coolest alleyways in town to finish up. Chandra did an amazing job coordinating four different outfits to change up the look for each location. She chose clothes that would look good together and with the Fall season. (I was super impressed with what she came up with!) The dogs even got in a couple of pictures to start with. It always works out best to have a buddy there to take the dogs home after their photos, which is exactly what they planned. 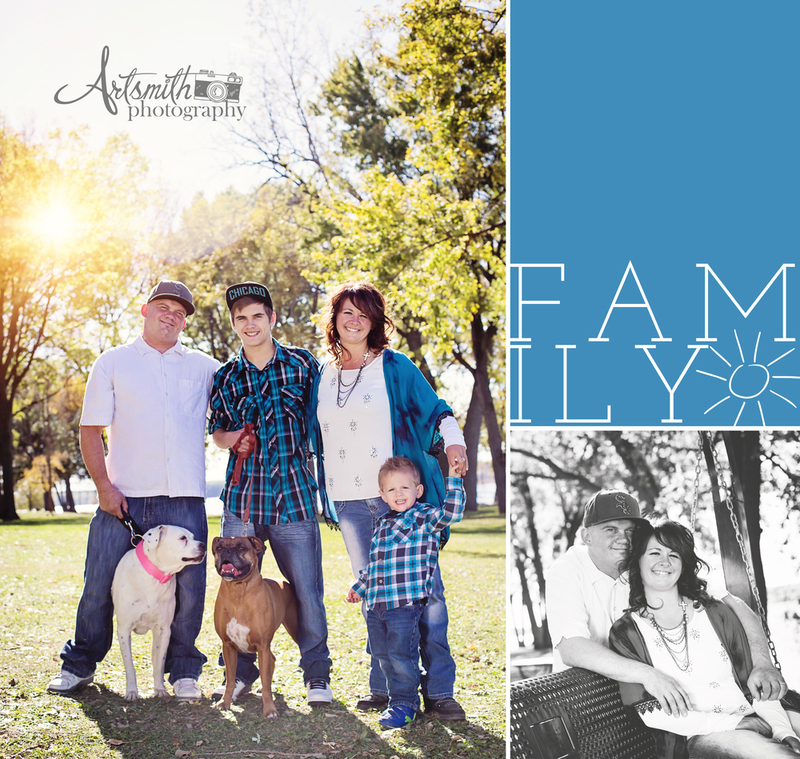 The main reason for their session was to create family memories and of course it's always my goal to give families beautiful new portraits to display and share with family and friends. 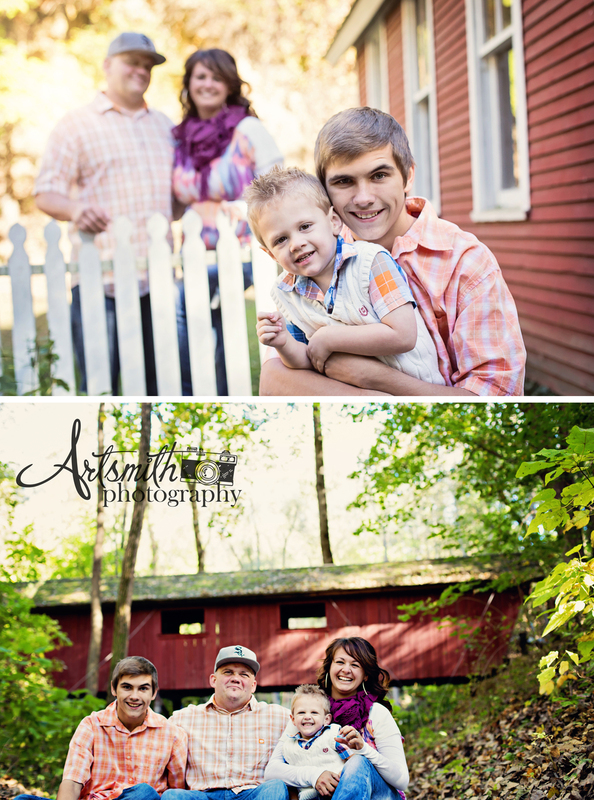 While I finish up editing, here is a little sneak peek of the Williams Family Session!